Opioids And Anxiety Medications Combined Can Be Deadly : Shots - Health News Doctors increasingly prescribe opioid painkillers with benzodiazepines — medications used to treat anxiety and insomnia. That combination is causing a spike in overdoses and deaths, the FDA warns. Diazepam, also known as Valium, is used to treat anxiety and insomnia. But when combined with opioids, it can suppress breathing and cause death. The Food and Drug Administration is warning that patients and doctors should more fully understand the potentially life-threatening risks of combining anti-anxiety or sleep medications with prescription opioids. To that end, the agency is requiring that nearly 400 products carry a "black box warning" highlighting the risks from combined use, it said in a press release Wednesday. The risks include extreme sleepiness, respiratory depression, coma and death. The move comes after an extensive review of scientific evidence by the FDA showing that physicians have been increasingly prescribing these drugs together. There was also a request for action in February, when health officials in cities and states across the country petitioned the agency for the change to the drug labels, citing an increase in overdoses from simultaneous use of the drugs. "As an emergency physician, I have seen so many patients who are prescribed opioids and benzodiazepines together," wrote Dr. Leana Wen, Baltimore's health commissioner and a leader of the effort, on Twitter Wednesday. "A black box warning is a powerful education tool and thank [you to the FDA] for taking action to help prevent deaths from this dangerous combination." From 2004 to 2011, the FDA says, the rate of emergency department visits involving nonmedical use of both drug classes increased significantly. Overdose deaths from taking prescribed or greater-than-prescribed doses of both drug classes nearly tripled, according to the release. "It is nothing short of a public health crisis when you see a substantial increase of avoidable overdose and death related to two widely used drug classes being taken together," said Dr. Robert Califf, the FDA commissioner. 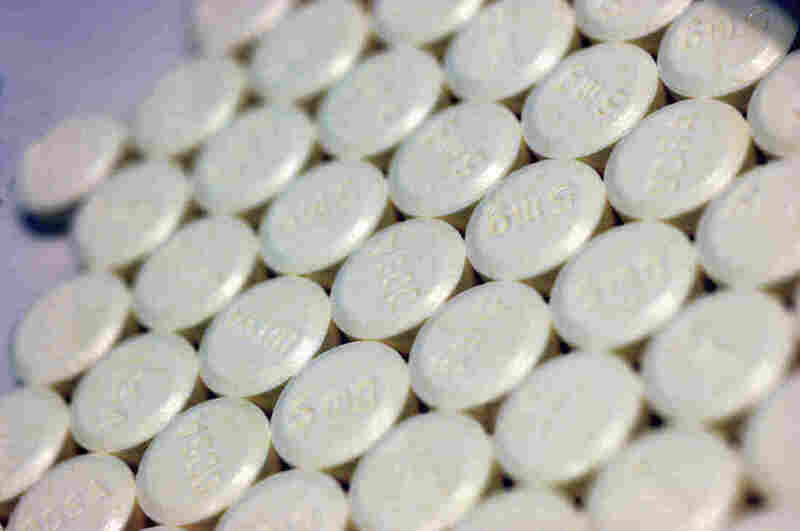 The number of patients who were prescribed both an opioid painkiller and a benzodiazepine increased by 41 percent during the period studied, the FDA says, translating to an increase of more than 2.5 million opioid patients receiving benzodiazepines. Painkillers and cough treatments containing opioids that will be required to carry the new warning include oxycodone, hydrocodone and morphine, among other drugs. The benzodiazepines that will get the warning are sold under a variety of brand and generic names, including Xanax, Valium and lorazepam. They often called tranquilizers or sleeping pills for their ability to relieve anxiety, insomnia and seizures. Both classes of drugs suppress the central nervous system. Opioids have legitimate medical uses in treating pain and cough, but they can also cause drowsiness, dizziness, nausea, vomiting, constipation and slowed or difficulty in breathing. Benzodiazepines also cause some of these same side effects, which is why using the two drugs together can be deadly. There are some medical conditions for which the combined use of these drugs is desirable and effective, including some treatments for opioid addiction and dependence. The FDA says it is continuing to examine available evidence regarding these uses. The agency has created guidance for people who are taking either of these drugs, so they can better understand the risks of taking them together. Health care providers are also receiving information that urges caution when prescribing them together, including being careful not to increase the dose or dosing frequency for either drug, the FDA says.